I am sure we all have certain things we like to read about: for me it is biographies of dancers or books about dance, and books about food. I don’t mean only recipe books, which can be perfect early morning or late evening reading, but books about food. Now some of these books are indeed recipe books (like that in the featured image – explanation below), some may contain recipes, others are purely about food, but all have a focus on food and eating. So without another moment of hesitation, here are six favourites – in no particular order. It was hard to narrow down and so there are alternatives too. First up, Timothy Pakron Mississippi Vegan. Now, this is really a recipe book, but, as the blurb on the cover says “recipes and stories from a southern boy’s heart”, and that is exactly what it is. Full of glorious photographs, anecdotes and some lovely looking food. Even if you aren’t vegan, it is well worth a look at. I love him on Instagram (@mississippivegan), and he is a real inspiration with his gardening, foraging and discovering things in farmers’ markets. 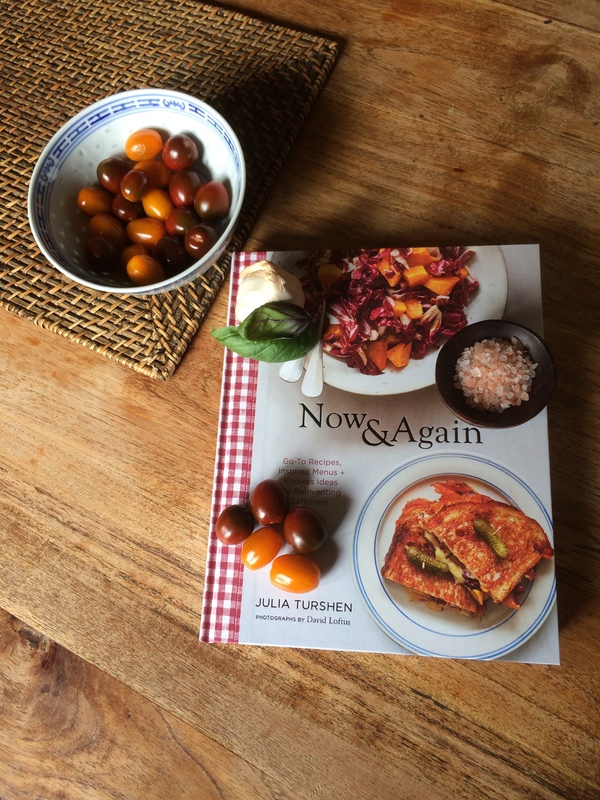 I also received in the same parcel, Julia Turshen’s latest book, as featured in the image at the top of the post. Also worth a read, she writes well and makes it easy to get creative in the kitchen. Next up, we have this slim volume of essays, The Pedant in the Kitchen, from the novelist Julian Barnes, first published in 2003. He writes about recipes he has tried, and the terms used such as ‘drizzle’, ‘slug’ and what these mean. It is a great afternoon read for a wet Sunday. An alternative read? Nigel Slater’s Toast (where is my copy?). A classic next – Anthony Bourdain’s Kitchen Confidential, which I am sure many of you have read, about his life as a chef. It is well worth reading on many different levels. Alternative? How about picking up some collected pieces by restaurant critics such as the late AA Gill or Jay Rayner? The American food writer M.F.K. Fisher’s The Gastronomical Me, was published in 1943. The essays are all little works of art, and I suggest reading this review in The Guardian which says it all about her writing. An alternative? I guess Elizabeth David’s An Omelette and a Glass of Wine (see here for a review). Now…is this a book about food or a recipe book? Whatever, this is a celebration of Nordic baking. One day, I may make something from this….maybe one day…. Alternative? This article from The Guardian which is considerably shorter but gives a good insight to the author. Finally, a book everyone HAS to read, Giles Yeo’s Gene Eating. This book dispels modern myths around food (gluten free (unless you are celiac of course), paleo, clean eating etc). It is far and away one of the best books on food and our modern eating habits, and based on empirical research rather than ‘fad’ ideas. Other writing to look at: Ruby Tandoh’s Eat Up (just enjoy food), anything by The Angry Chef, and Bee Wilson’s First Bite. What are your favourite food writers? Good choices. I love Julian Barnes, he’s a great writer and of course Elizabeth David is a classic. I also love Nigel Slater, Jane Grigson’s Vegetable Book and Simon Hopkinson’s ‘Roast Chicken and Other Stories’. I love reading cookery books and have a huge collection of all the classics, even though I rarely cook as my OH loves cooking so much. Nigel Slater writes so beautifully about food I think. I must look for the Simon Hopkinson. what a great list of books, I currently have As Always, Julia: The Letters of Julia Child and Avis DeVoto in my queue to read. Thanks! That sounds a great read.